We went to the Salt Lake City Cemetery and found the gravesites of 11 out of the 15 deceased latter-day prophets. The four prophets who aren't buried there are Joseph Smith (he's buried in Nauvoo), Brigham Young (he's buried in the Pioneer Memorial Park in Salt Lake), Lorenzo Snow (he's buried in Brigham City), and Ezra Taft Benson (he's buried in Idaho). 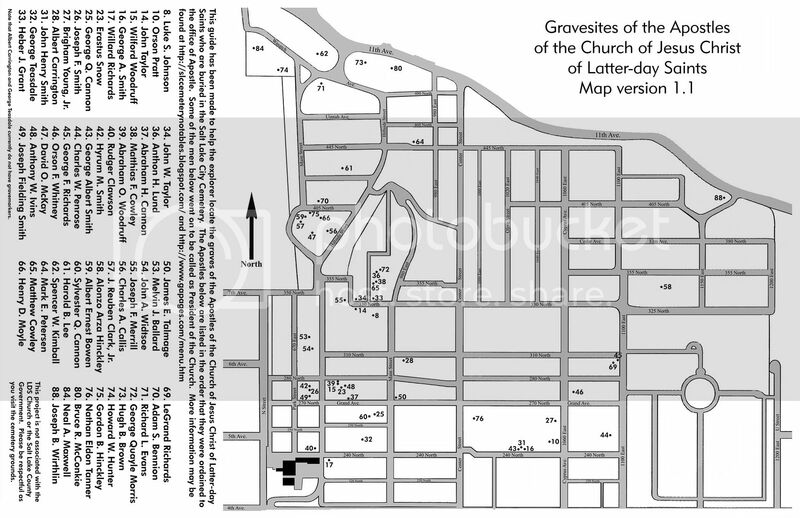 You can find a map of where each of the prophets are buried in the cemetery here. Then we went down to Temple Square and enjoyed the peace and beauty there. We are so grateful to be members of the Church. This is kind of a weird picture but it's the only one Mike took. Mike took Bryson golfing while I spent a few hours working. 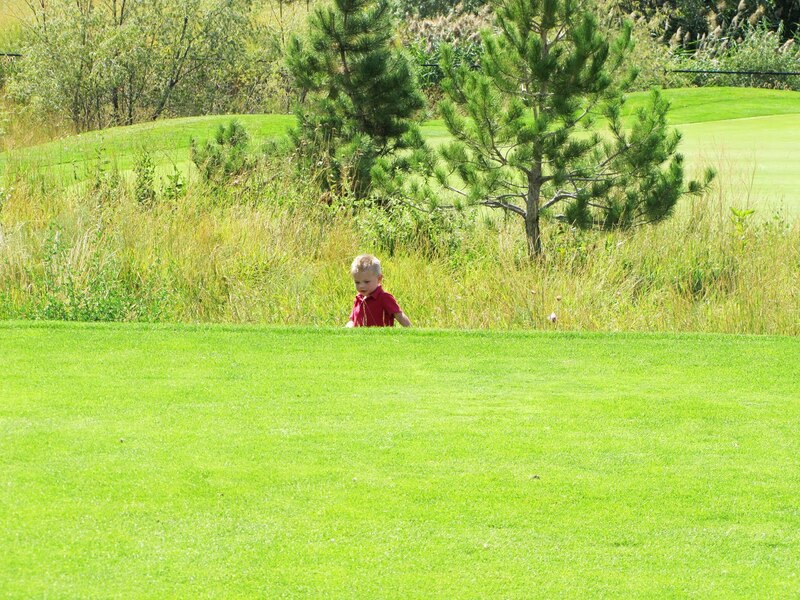 Bryson has been golfing with Mike several times over the last few weeks and absolutely loves it! I hope it's a tradition they continue for a long time. Stewart Falls We drove up Sundance Canyon and then hiked up to Stewart Falls. 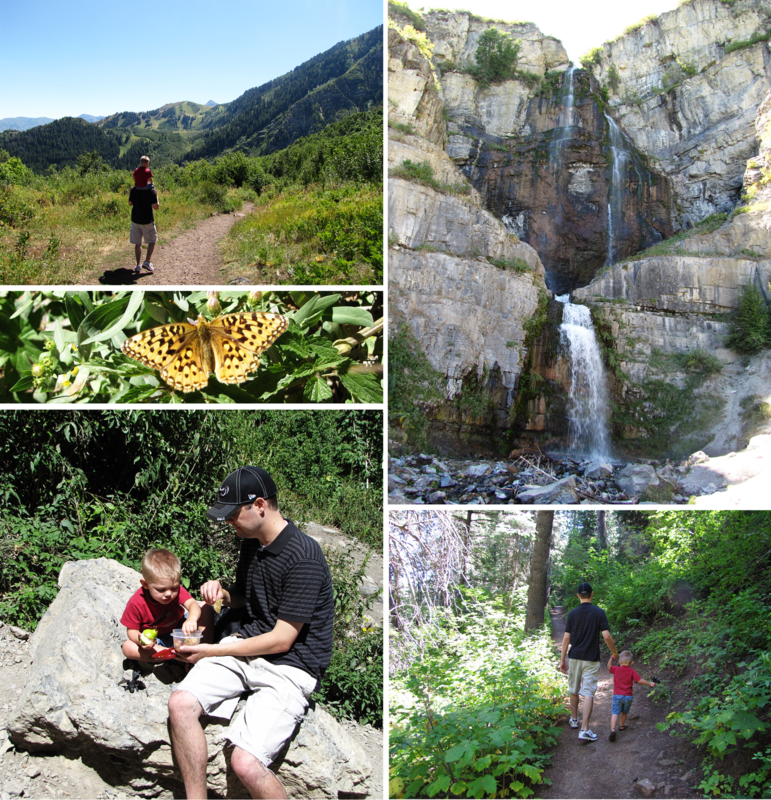 Bryson was a trooper and did awesome on the four mile (round trip) hike. When we got to the falls we sat and ate tuna fish sandwiches, pears, nectarines, multi-grain chips, and homemade salsa. Yummy. 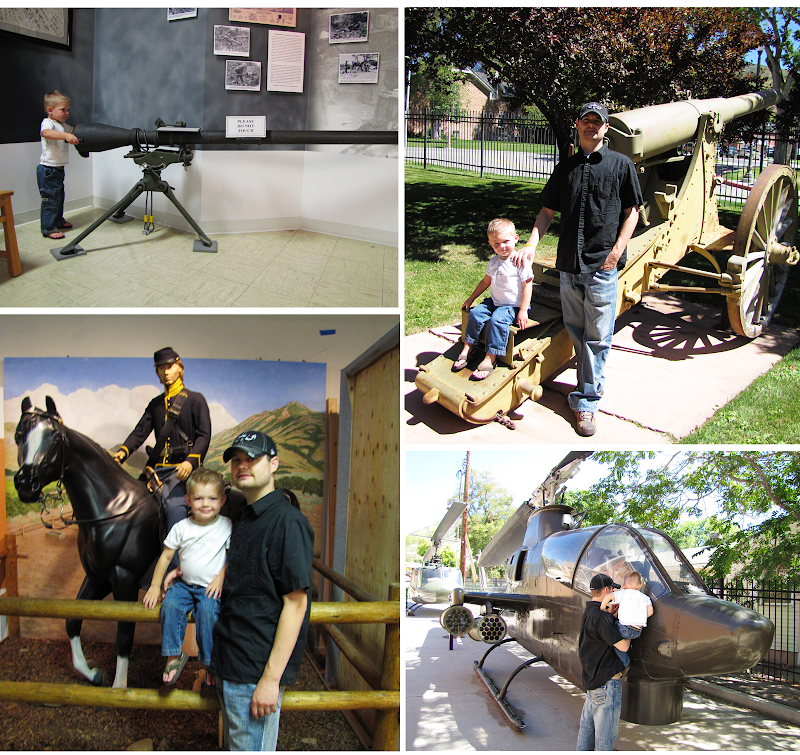 We visited the Fort Douglas Military Museum. Bryson loved looking at all of the big guns and swords. He especially loved the helicopters. We went to the crazy and impossible Contemporary Masters mini-golf course at the Salt Lake Art Center. It was so much fun and nearly impossible to score well because the holes were insanely bizarre contemporary works of art. My favorite hole was #10 the "Shredder." If you haven't been there yet, you definitely should. It ends on September 16th. Oh, and best yet, it's FREE! Afterward Mike and Bryson soaked themselves running through the fountains outside Abravanel Hall. We drove to Laramie, Wyoming with Ike and Taylor to watch Abbel play football in a game against the University of Wyoming. SUU did awesome but ended up losing 28-20. Bryson loved looking for Abbel (#15) out on the field and making new friends.